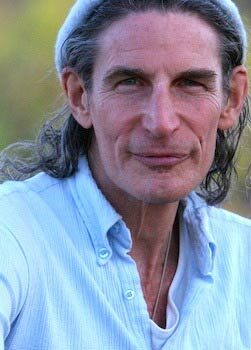 Gabriel Cousens is the author of seven internationally acclaimed books including Spiritual Nutrition and Depression Creating Peace by Being Peace. Known worldwide as a spiritual teacher and the leading expert in raw, live, plant-source nutrition, Dr. Cousens functions as a holistic physician, psychiatrist, family therapist, and cutting edge researcher on healing diabetes naturally. The New York Times calls him, “the fasting guru and detoxification expert”. He holds an M.D. from Columbia Medical School, a doctorate in homeopathy, and diplomas in Ayurveda, clinical acupuncture, and holistic medicine. His multi-cultural background as an ordained rabbi, an acknowledged yogi, and a four-year Native American Sundancer, adds insight to his “whole-person enlightenment” teachings. Rabbi Cousens is the founder and rabbi of Congregation Etz Chaim in Patagonia, Arizona. Dr. Cousens is the founder and director of the Tree of Life Foundation, the Tree of Life Center US, and the Culture of Life Institute. He has published research articles and lectures on a variety of medical and psychological topics around the world. He has taught extensively in twenty countries on six continents. People have come to programs offered by the Tree of Life Foundation, in Arizona, from 110 countries. In his latest book, There Is A Cure For Diabetes, Dr. Cousens presents his rejuvenation center’s program for reversing diabetes naturally. The center currently reports a 45% reversal rate in Type 2 diabetes, and a 21% reversal rate in Type 1 diabetes in 21 days. Additionally, Dr. Cousens’ Tree Of Life Foundation Humanitarian Projects present a unified approach for the healing of the planet through work his in Mexico, with immigrant farm workers in Arizona, and his work in Cameroon, Ghana, Nigeria, and Ethiopia. Dr. Cousens has taught in the United States, England, Canada, Mexico, Nicaragua, Costa Rica, Panama, Peru, Brazil, Argentina, Turkey, Greece, Morocco, Lebanon, Egypt, Israel, Ghana, Nigeria, South Africa, Ethiopia, Australia, New Zealand, Italy, Spain, France, Amsterdam, Denmark, Sweden, Switzerland, Czech Republic, Germany, Poland, Croatia, India, Bali, Thailand, and Hong Kong. For information about Dr. Cousens’ Tree of Life Center US visit treeoflifecenterus.com. For information about Dr. Cousens’ Tree of Life Foundation, a not-for-profit 501(c)3 religious organization, visit treeoflifefoundation.org.